WASHINGTON (AP) — President Donald Trump has ignited a firestorm of criticism and charges that he is politicizing the military by faulting a war hero for not killing al-Qaida leader Osama bin Laden sooner. Trump took verbal shots at retired Adm. William McRaven in a weekend Fox News interview in which he also asserted that the former Navy SEAL and former commander of U.S. Special Operations Command was a “backer” of Trump’s 2016 rival Hillary Clinton and a supporter of President Barack Obama. “Disgusting,” the George W. Bush administration’s White House counterterrorism adviser, Fran Townsend, wrote Monday on Twitter. “It demonstrates a profound lack of understanding of how our military and intelligence agencies operate and undermines the president’s own standing as commander-in-chief,” Panetta said in a statement. The controversy follows a pattern of concerns raised by former senior military officers about Trump’s grasp of the military’s role. Some assert that his decision to send thousands of active-duty troops to the U.S.-Mexico border shortly before the Nov. 6 midterm elections was a political stunt. Trump also drew criticism for his decision not to visit Arlington National Cemetery on Veterans Day last week, following his trip to Europe. He said later he “should have” visited the cemetery but was too busy with official business. 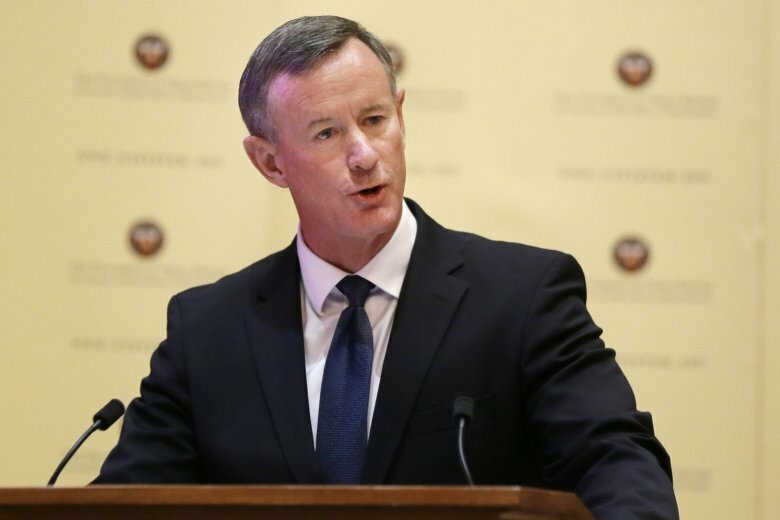 McRaven told CNN he is a fan both of George W. Bush and Barack Obama, having served under them. “I admire all presidents, regardless of their political party, who uphold the dignity of the office and who use that office to bring the nation together in challenging times,” he said pointedly. McRaven previously had drawn widespread attention for lambasting Trump for repeatedly calling the news media the “enemy of the people.” McRaven had said the president’s words were “the greatest threat to democracy” in his lifetime. When this was raised in the Fox News interview, Trump lashed out at McRaven, who organized and executed the bin Laden raid in Pakistan in May 2011 as head of the secretive Joint Special Operation Command. “Wouldn’t it have been nice if we got Osama bin Laden a lot sooner than that, wouldn’t it have been nice?” Trump said.